Students and faculty at the University at Buffalo (UB) will soon notice vehicles driving on North Campus without anyone behind the wheel. UB recently received funding to build a new, multifaceted research facility dedicated to autonomous vehicles (AV) and connected vehicles (CV). Thanks to a $1.2 million grant from the National Science Foundation (NSF) and $500,000 from the university, the facility will unify and further develop existing research efforts. 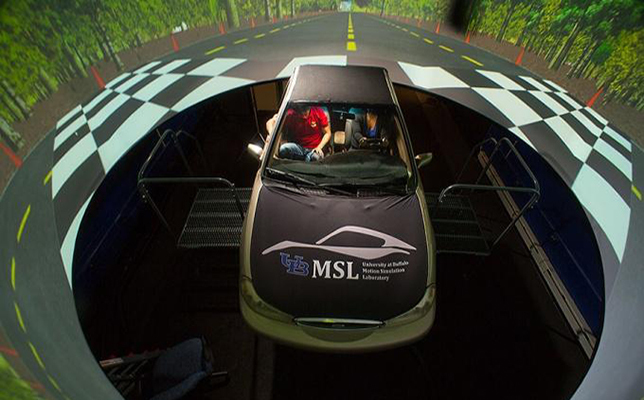 “The work addresses a critical societal need related to evaluating and experimenting with the emerging and potentially transformative CV/AV technologies by developing a necessary instrument that can bridge the gap between existing simulators and road test facilities,” according to the NSF. Dubbed iCAVE2 (Instrument for Connected and Autonomous Vehicle Evaluation and Experimentation), the facility will utilize the funds to develop “an integrated 5-in-1 instrument for connected and autonomous vehicle evaluation and experimentation,” according to the NSF. An instrumented environment with traffic sensors and road-side units, covering an area of about 1.2 square miles (located on UB’s North Campus) with representative urban traffic. iCAVE2 will feature a central software module “based on framework for real-time data distribution, with open APIs and as an open-source project,” according to the NSF. The instrument has possible applications in academia, information technology, auto manufacturing, auto insurance and government transportation, to name a few industries. iCAVE2 will be available to local and remote users. Further information is available on the NSF site.